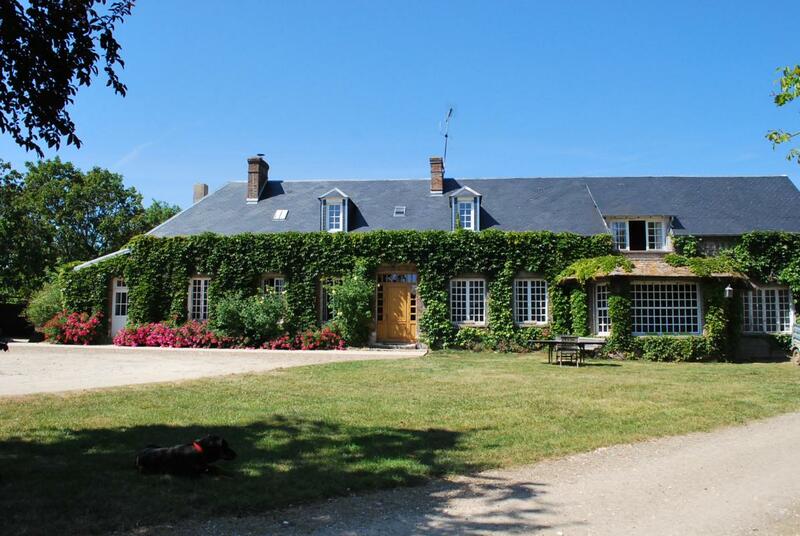 Guesthouse located in a peaceful setting in Eure Valley, with horseriding and horses' welcome. At the edge of the Eure valley, with a remarkable view, two steps away from the small dynamic town of Pacy sur Eure, Lydie welcomes you to her beautiful residence where she breeds racehorses. 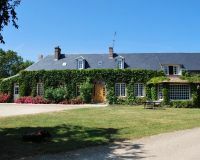 Within her large house, she has created an independant suite with terrace and small private garden. The suite, on the ground floor, is composed of a bedroom (1 double bed), a lounge, kitchen area and a sofa bed (for 2 people). Large private bathroom and toilet. Breakfasts are served in the dining room or in the garden from where you'll no doubt see the horses pass by. Walks accompanied by the donkey are also available. Horses welcome in the paddock or box. Tourist tax applies. Suite comprising a bedroom and a living room with sofa bed and kitchen area. Bathroom and wc. Independent access or access also by the House.